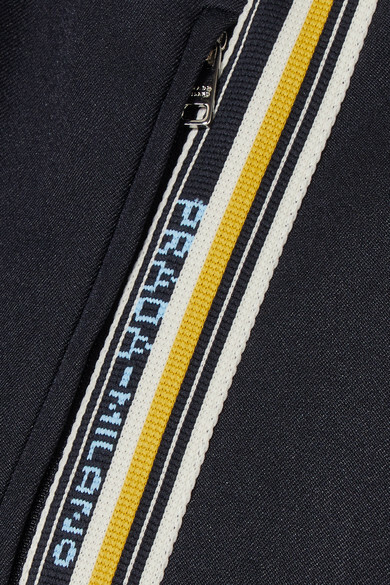 These gabardine track pants have yellow and white stripes along the sides woven with 'Prada Milano' in blue. 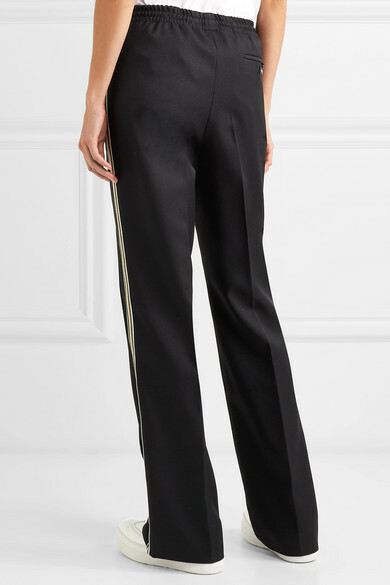 They have zipped pockets at the hips and an elasticated waist. 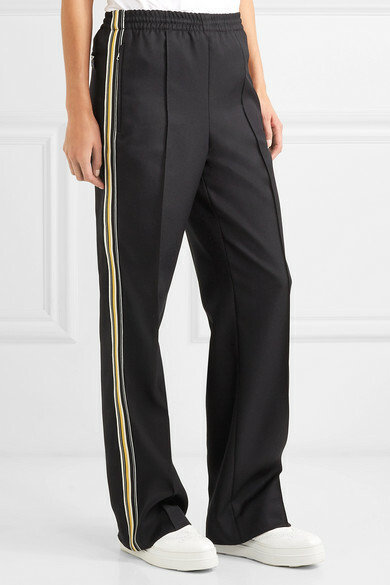 They're a little more refined than classic styles due to the neat stitched creases down the leg - a traditional detail used in tailoring. 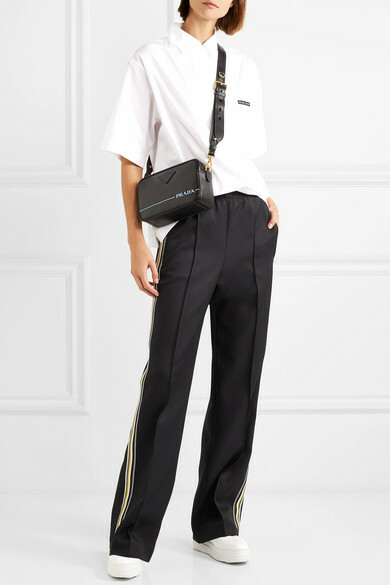 Shown here with: Prada Shirt, Prada Shoulder Bag, Prada Brogues.